How To Beat January Blues! Remember January is a tough month so putting your body through a punishing detox means that the odds are stacked against you for you to succeed. Instead of setting yourself an impossible task, follow Anise Catering’s healthy eating tips to ensure that you feel great (rather than just hungry). Let’s face it; we’ve all over-indulged at Christmas. If you’re undertaking a detox at present you may be starting to wish that you hadn’t bothered. 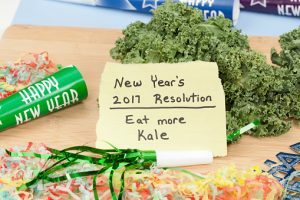 Most people who have started diets or have endured dry January usually give up on the lowest day of the year (today – or ‘Blue Monday’). It’s better to take a week off from caffeine, sugar and booze than it is to endure a whole month of booze. Yes, it’ll be a tough week but it means that you won’t be craving booze so much that you’ll go from no drinking to binge drinking. It means that your body has time to cleanse itself. Detoxing or not, drink lots more water than you usually would. As the booze has been flowing throughout December, it’s good to try and cut back a little at the start of the year. Little reductions make this task seem less daunting. Dark evenings, hectic schedules and the weather all culminate in not wanting to spend hours preparing something super healthy that doesn’t even appeal to you. There are some delicious soup recipes out (French onion, celery, tomato and basil) there that you can prepare the night before and then enjoy for lunch or dinner the next day. Soup is a great way of getting all your nutrients in one hit. Swap your naughty snacks for good snacks: put down the crisps and instead munch on unsalted cashews, sunflower seeds or raisins. Rather than give up chocolate for the whole of winter make resolutions that you can actually keep. Invest in an organic weekly vegetable box, join an exercise class that you will enjoy or introduce a new weekly meal into your repertoire. Different diets just dress this up a different way. If you hate the gym there’s no point in signing up. Take the stairs rather than get the lift at work or walk rather than get the bus. January is a time where we focus on our weight and our bodies rather than how we’re feeling. Do more of what makes you happy by spending time with people that you love. Watch that series that makes you laugh out loud. Reward yourself with treats in January: swap a night out for a night in…Cook a delicious meal for your friends or book a table at that new restaurant that you’ve been wanting to try. Watch that new box set or start a new hobby that you think you’ll love.